Known for its soaring towers that mark the skylines of the world's great cities, Pelli Clarke Pelli Architects is also a leading designer of performing arts centres, including critically acclaimed venues for opera, dance, plays, and concerts. 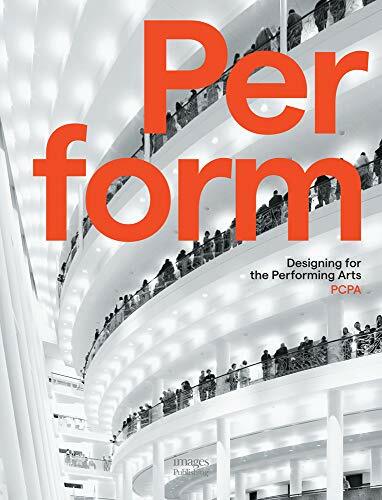 The firm's award-winning work in this highly demanding field is vast, with examples ranging from one of largest performing arts centres in the United States to intimate theatres on college campuses. Ted Whitten is an architect and writer in New Haven, Connecticut. He has a residential design practice and has contributed to several books and periodicals on architecture and design. From the World Financial Center in New York to the Petronas Towers in Malaysia and the International Finance Centre in Hong Kong, Pelli Clarke Pelli Architects has designed many of the world's most prestigious projects. The firm's portfolio includes retail and mixed-use projects, academic buildings, libraries, museums, research centres, residences, and master plans, and they have worked with private clients, businesses, institutions, and government agencies. PCPA has received critical acclaim and hundreds of design awards, including the American Institute of Architects Firm Award, the highest honour for an architectural practice. In 1995, the American Institute of Architects awarded Cesar Pelli the Gold Medal, its highest honour for an individual. In 2004, the firm was given the Aga Khan Award for Architecture for the Petronas Towers.